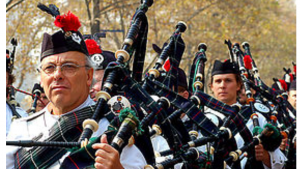 Home › News Uncategorized › And so it begins …..
Bridge of Allan Highland Games are proud to be welcoming our first international pipe band for 2017 – The Highland Thistle Pipe band from Argentina. This is the first time we have had a band from Argentina competing at our games. And hopefully the first of many international bands who will be joining us to celebrate our 166th year. Traveling over 7500 miles to compete in Scotland, it will be a huge journey for them and a massive compliment to the Bridge of Allan Highland Games. Some of the band members may also be entered into our Highland dancing competition. 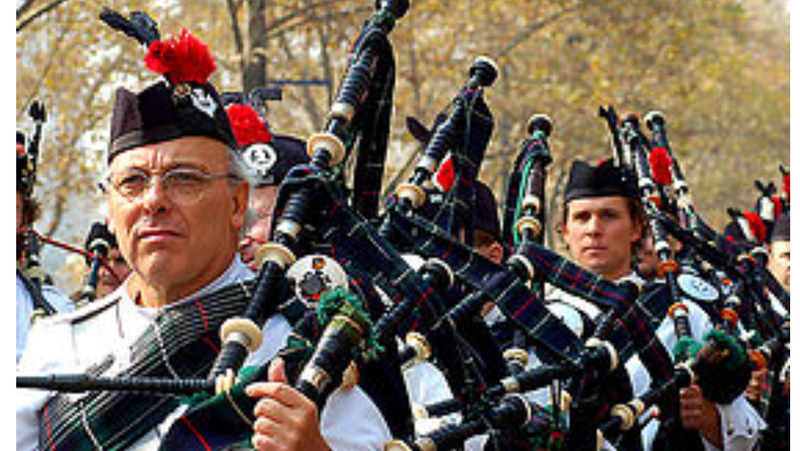 In 1955 the first pipe band in the region of Argentina was formed (until then there had been several pipers who would occasionally play together for certain community events). This band was the result of the determination and hard work of Mr. Dunsmore Ross, a Scots and piper residing in Argentina. He was the band’s Pipe Major for many years and dedicated countless hours to teaching the instrument. He was helped by Mr. Jimmy Lees who organised and taught the drumming corps. Andrew’s Society of the River Plate, and for many years was the only one in South America. In 1967 the South American Piping Association (S.A.P.A) pipe band was founded by Alistair Lean, who had left the St. Andrew’s band in 1964. In 1982 a major group of the St Andrew’s Society Band decided to leave and form an independent band, since they believed it was the only way they could dedicate their efforts entirely to Scottish music and dancing, and specially to emulate the sound and format of traditional Scottish pipe bands. So, with this in mind, and thanks to the invaluable help and backing from Mr. Ralph Ayling ( a true mentor), the Highland Thistle Pipe Band was born. One of our main objectives was to continue with the tradition we had already created: performing excellence in an atmosphere of camaraderie where band members could feel they were part of a group of friends getting together to do what they like best – a hobby, so to speak. So the band, today, is 27 strong: 8 pipers, 3 side drummers, 2 tenor drummers, a bass drummer, a Drum Mayor and 12 dancers, all Argentines (correction, we have one Uruguayan). They wear kilts and plaids of the MacKenzie tartan in the Seaforth Highlanders sett. This was a tartan they had always wanted (even when in the St. Andrew’s Society) as it was the one that Mr. Ross used to wear. We’re looking forward to hearing them play and wish them luck in all their competitions this year.